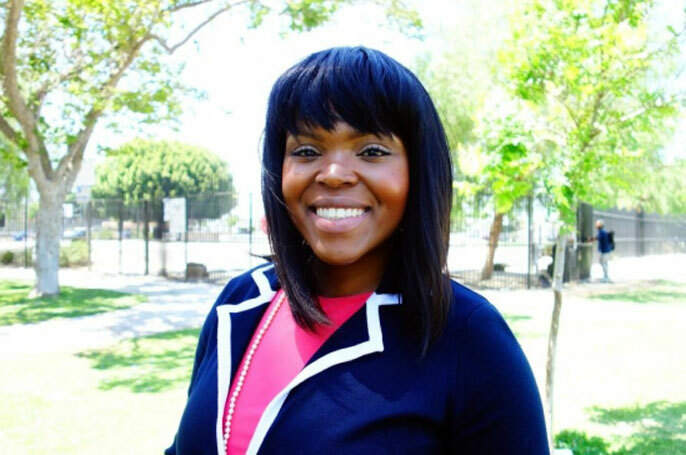 Aja Brown, mayor of Compton, Calif. The 2016 election may go down as the year of the angry white voter, but a new book co-authored by a UC Santa Barbara scholar finds a quiet revolution taking place in the country: the ascension of women and men of color to elected office. In “Contested Transformation: Race, Gender and Political Leadership in 21st Century America” (Cambridge University Press, 2016), Pei-te Lien, a professor of political science at UC Santa Barbara, and her three co-authors have produced the first comprehensive study of elected racial and ethnic minorities in the U.S. The book encompasses more than 12,000 elected officials in its dataset. That number represented a massive and daunting task for the authors, who also included Carol Hardy-Fanta of the University of Massachusetts Boston, Dianne Pinderhughes of the University of Notre Dame and Christine Marie Sierra of the University of New Mexico. Their core dataset, for example, is based on telephone surveys of 1,170 elected officials who answered 196 questions in 2006 and 2007. It took up to 10 calls to get one person to agree to be interviewed. The huge database yielded a wealth of information that revealed how a rapid and continuous racial transformation in the U.S. since the 1960s has in turn changed the political landscape across the country. Latinos, for example, have grown from 3.5 percent of the population in 1960 to 17 percent in 2011. Asian Americans have gone from less than 1 percent in 1960 to 5 percent in 2011, and are expected to become the largest immigrant group, surpassing Latinos, by 2055. African American numbers have held steady, while whites declined from 85 percent of the population in 1960 to 63 percent in 2011, and are expected to be just 47 percent in 2050. Those changes in demographics have led to a dramatic transformation in the number of women of color in elected positions. Black females have grown from 160 in 1970 to over 3,600 in 2012; Latinas from fewer than 600 in 1987 to close to 2,000 in 2012; and Asian American women from 14 in 1978 to 129 in 2012. In all cases women of color outpaced their male counterparts. Additionally, the country has seen dramatic increases in gender ratios within each racial group: Among blacks, women’s share increased from 11 percent in 1970 to 37 percent in 2012; among Latinos, women’s share increased from 18 percent in 1987 to 34 percent in 2012; among Asians, women’s share increased from 12 percent in 1978 to 32 percent in 2012. Women of color also have higher growth rates than white women in Congress and state legislatures, the researchers found. Although white women outnumber minority women, the latter have seen much higher growth rates since 1965. The growth is especially strong after 1992, the so-called Year of the Woman, when four Democratic women were elected to the Senate. Lien noted the election of 1992 followed the controversial confirmation hearings for Supreme Court nominee Clarence Thomas. Cambridge University Press: "Contested Transformation"